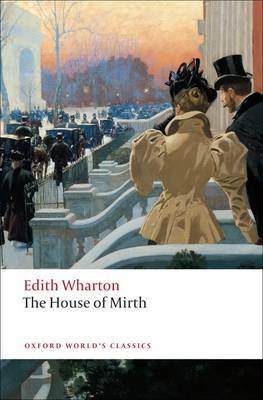 Since its publication in 1905 The House of Mirth has commanded attention for the sharpness of Wharton's observations and the power of her style. Its heroine, Lily Bart, is beautiful, poor, and unmarried at 29. In her search for a husband with money and position she betrays her own heart and sows the seeds of the tragedy that finally overwhelms her. The House of Mirth is a lucid, disturbing analysis of the stifling limitations imposed upon women of Wharton's generation. Herself born into Old New York Society, Wharton watched as an entirely new set of people living by new codes of conduct entered the metropolitan scene. In telling the story of Lily Bart, who must marry to survive, Wharton recasts the age-old themes of family, marriage, and money in ways that transform the traditional novel of manners into an arresting modern document of cultural anthropology. ABOUT THE SERIES: For over 100 years Oxford World's Classics has made available the widest range of literature from around the globe. Each affordable volume reflects Oxford's commitment to scholarship, providing the most accurate text plus a wealth of other valuable features, including expert introductions by leading authorities, helpful notes to clarify the text, up-to-date bibliographies for further study, and much more.